Leather furniture and upholstery will inevitably face some wear and tear throughout its life, and there are many types of damage you can’t avoid. However, sun damage is one problem that can definitely be prevented. Too much sunlight and heat will fade and/or dry out your leather. 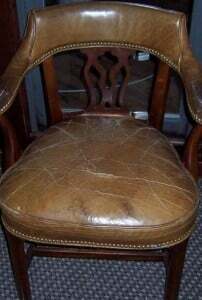 Fading is commonly seen in semi-aniline and aniline leathers, and it is less common in fully-finished leathers that have a protective topcoat. It’s a problem people frequently face, and, if you put your leather furniture next to a window that gets a lot of sunlight, you can see fading in as little as 4 to 6 months. Drying will occur with any type of leather. The sun’s heat slowly causes the moisture and natural oil in leather to evaporate. Over time, if you don’t care for your leather properly, it will dry out and crack. 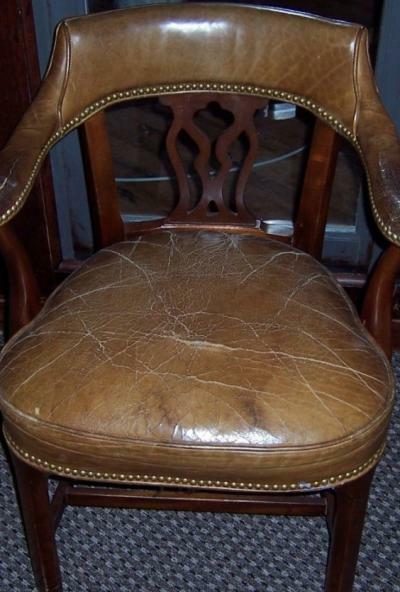 One crucial step to preventing fading and cracking is to, if possible, keep your leather furniture out of direct sunlight. 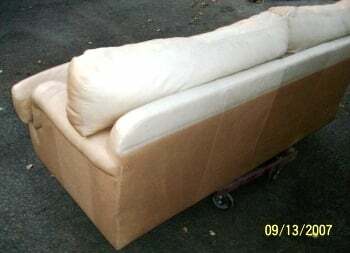 You can do all the right things to protect your sofa, but, if it’s directly in front of a sunny window, it is only a matter of time before the heat takes its toll. If you do need to place furniture in front of a window (we know, most people do), invest in some blinds to shade your furniture from the sun during the hottest, sunniest parts of the day. Those blinds will be a lot cheaper than taking your leather upholstery to a professional for patching and re-dying later on down the road. Another important precaution to take is to clean and protect your furniture 3-4 times a year with a leather conditioning kit. For tips, check out our post on how to clean and protect your leather. On a final note, do not try to treat your leather with olive oil or any other type of oil—it will end up causing major damage in the long run.